black friday | Sophisticated Diva ~ A.K.A. Along came Polly! 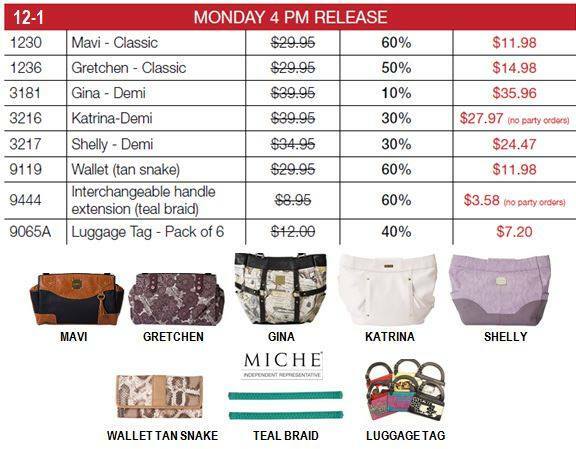 Miche CYBER MONDAY sales, 4pm releases! 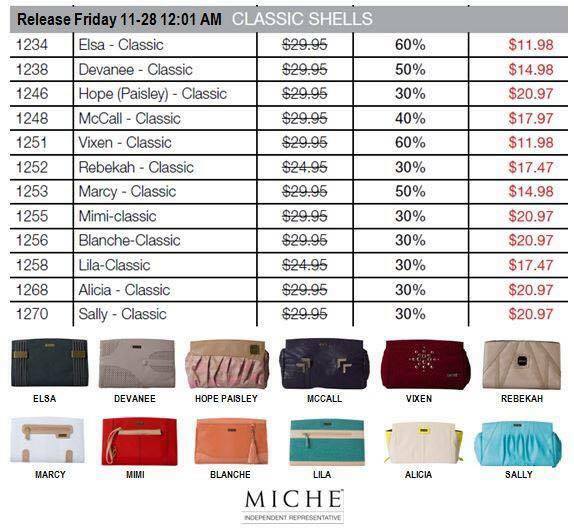 This is the FINAL release for Miche cyber weekend!! It was great fun, many items sold out, however– many items remain!! Don’t miss out on up to 60% off Miche, INCLUDING 50% off Prima bases!! 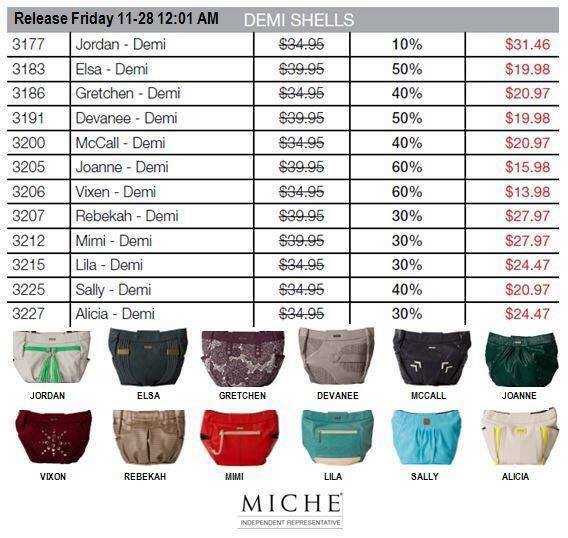 CLICK HERE to go to my MICHE WEBSITE to see what remains in stock! Cyber weekend is always so much fun for me, and December is too!! 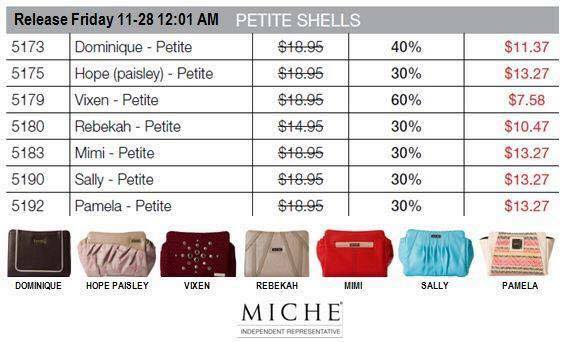 Stay tuned for the Miche shopportunity event, directly following cyber weekend! You’ll be glad you did! 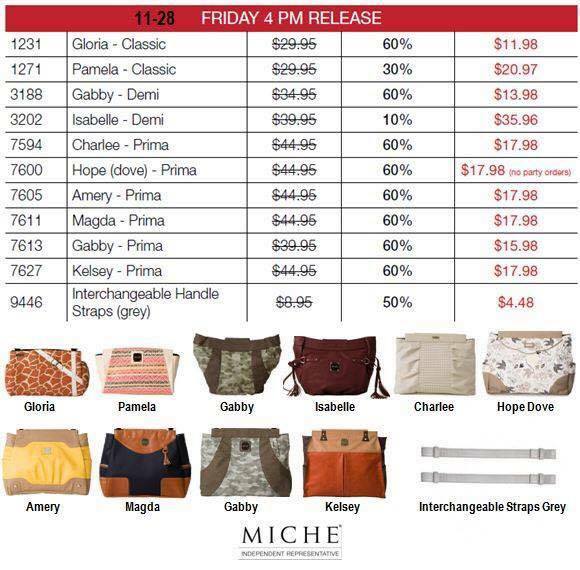 Miche Black Friday continues, with MORE new releases at 4pm today! We’re having fun now!! Miche started Black Friday off with a BANG! 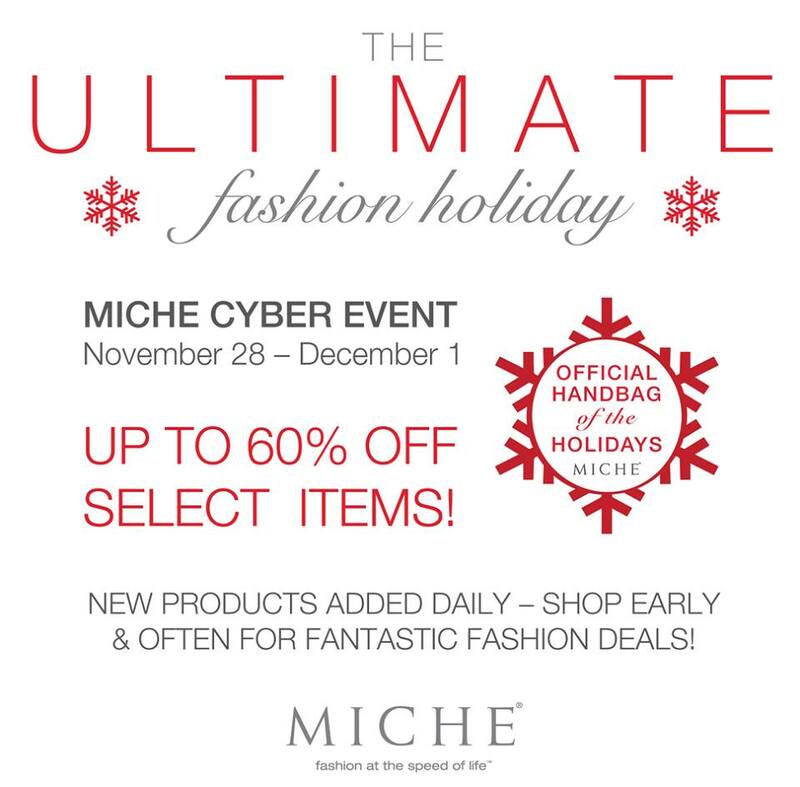 Special deals and steals on Miche items you won’t find anywhere else — up to 60% off!! We even have the MICHE PRIMA BASE on sale for 50% off!! 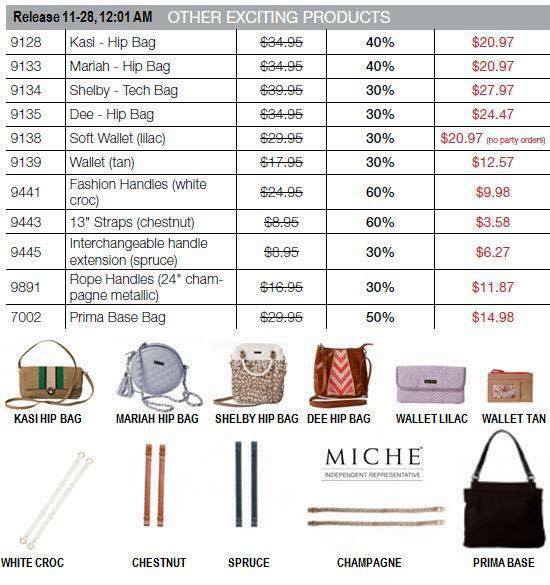 You don’t want to miss out, so visit my MICHE WEBSITE to see what’s left in the CYBER WEEKEND section!! Supplies are LIMITED, don’t delay…. There will be a new release of Black Friday items at 4pm MOUNTAIN TIME today—- here’s a sneak peek at what’s in store! Items will be added TWICE A DAY throughout Cyber weekend!! 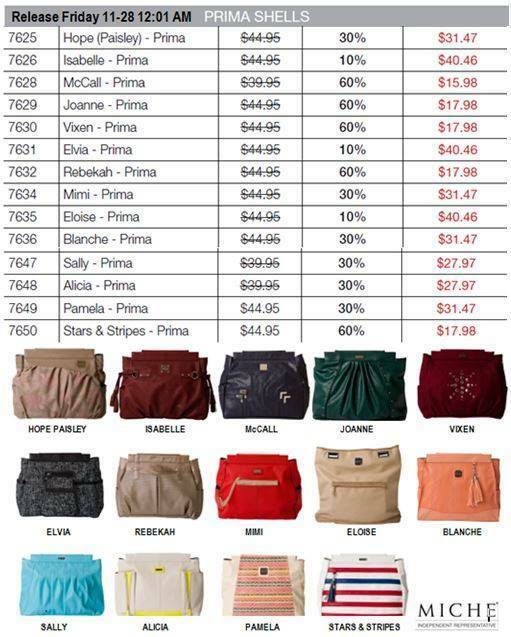 #Miche November PRIMA BASE SALE!! Here’s a PRE-CYBER special for you!! I normally don’t send out emails other than “releases”, with only one exception– A GREAT SALE, and something I don’t want you to miss out on! You’d be pretty upset if I didn’t let you know — right?? Just one more piece of information before I share the great news— DABNEY in all sizes is on the critical inventory list—if this is on your wish list, or you intend to purchase as a gift—this item must be ordered NOW! They will be back in inventory in January— but not in time for gift giving..so if you have anyone on your Christmas list that would like this shell, time if of the essence! A photo of the Demi Dabney shell is included for your convenience. MICHE PRIMA BASES ARE 50% OFF!! 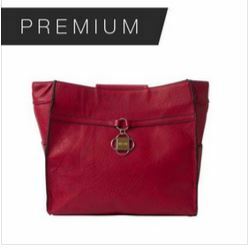 Yes, you heard me right–for only $14.99 you can grab more than one Miche prima base, because you KNOW the women on your holiday list will LOVE Miche!! THIS SALE IS ONLY THROUGH FRIDAY NOVEMBER 14TH!!! CLICK HERE to get yours now, and STAY TUNED for emails regarding Black Friday, and Cyber weekend!! URGENT NEWS— YOUR ACCOUNT INFORMATION MUST BE UPDATED ON MY WEBSITE! HELPFUL HINTS: My Miche website is all new and improved—– My advice is to create your account on my website RIGHT NOW, so you won’t miss out on those specials for Black Friday and Cyber weekend while you were busy creating an account again. WE ALL KNOW how fast those specials fly off the shelves, and I don’t want you to miss out on your favorite shells and great sales.